18/03/15. Dublin, Ireland. 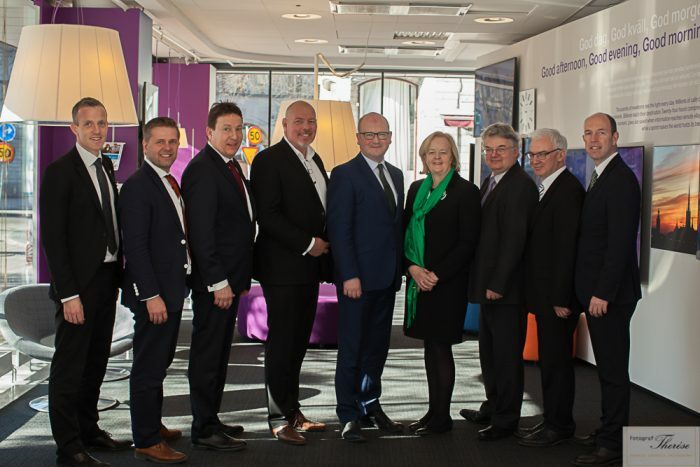 Virtual Access are proud to take part in Minister Nash’s Trade Mission visit to Sweden, which is a part of the Government’s wider promotional activity to mark St. Patrick’s Day and to strengthen Ireland’s business, political and cultural ties with Sweden. Minister Nash met with Irish companies which are increasing their presence in Sweden such as Virtual Access, ECOCEM, FEXCO, and Mercury Engineering. These companies are among 430 Irish-owned companies which export over €250m to Sweden annually. The Minister took part in the St. Patrick’s Day Parade in Stockholm on 15th March and spoke at a reception hosted by the Irish Ambassador, Orla O’Hanrahan, in partnership with Enterprise Ireland and Bord Bia, on 17th March at Stockholm’s Maritime Museum.